Item # 317167 Stash Points: 9,995 (?) This is the number of points you get in The Zumiez Stash for purchasing this item. Stash points are redeemable for exclusive rewards only available to Zumiez Stash members. To redeem your points check out the rewards catalog on thestash.zumiez.com. 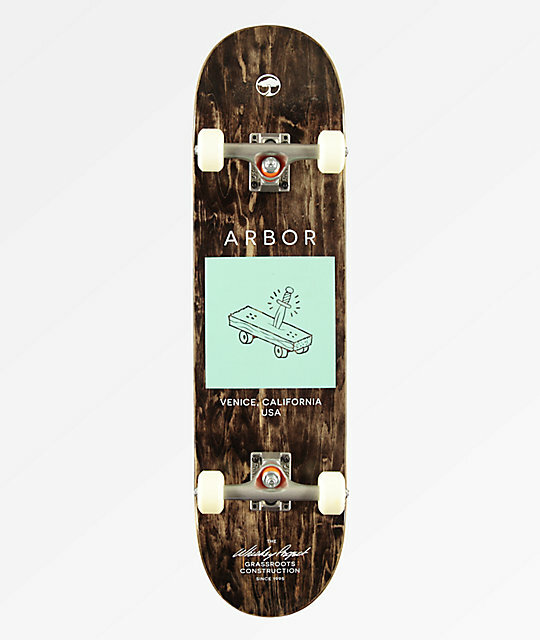 Get a professional level complete all assembled and ready to go, with the Arbor Whiskey Team Artist Collaboration 8.0" Skateboard Complete. 54mm 90a wheels keep traction on the steepest of vert while providing above average carrying speed and the abec 5 Arbor brand bearings therein ensure more of the same. Paris trucks keep a stable feel through speedy hill bombs and the overall moderate concave ensures you maintain optimal grip to your feet. Finished with a wide and mild pitched nose for easy catches along with a steep and tapered tail to cut weight and offer massive pop, this board is primed to ride it all. 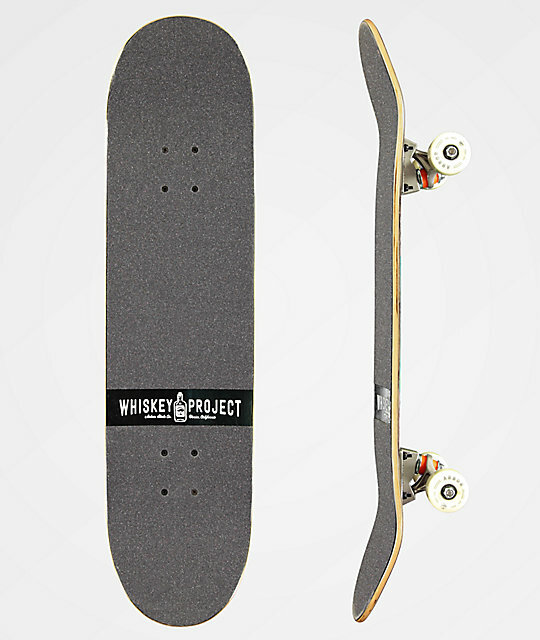 Whiskey Team Artist Collaboration 8.0" Skateboard Complete from Arbor.